Learning English as a second language and want to make progress but don’t know how? Spend a lot of money on ESL textbooks and classes? Of course, these methods are necessary. But you can also find many useful websites to practice English! Here we have ESL exercises for listening, speaking, writing, and grammar to develop second language skills. You can also find ESL worksheets and effective YouTube channels in this article. To speak or read the language, listen to it everywhere – while going to college or cleaning your room. Podcasts are one of the most enjoyable ways to practice English. They are often engaging and perfect for self-development. If you’re interested in ESL listening, try English Listening to practice English. On this ESL website, you can easily find the recording you need by using check boxes. You can divide the recordings by their type, academic level, language variety, or topic. TalkEnglish.com has a huge range of files for ESL listening. Choose one of three levels – you can get great ESL lessons for basic, intermediate, and advanced ones. For every recording of each level, you have a list containing three steps – listening, quiz, and reading. If you’re a fan of learning English as a second language with the help of songs, EnglishClub can interest you! It presents fables, poems, songs, recordings about Zodiac animals, and unusual stories. Use this website to practice English effectively and have fun! This ESL listening website is suitable for beginners and intermediate learners. Every recording is followed by a transcription of dialogue so that you can read some tricky parts of the text. ManyThings.org uses the method that shows you how to study English without a teacher. EnglishTestStore amazes with its incredible 66 ESL tests for listening! The recordings aren’t as easy as previous ones, but they’re closer to everyday life. When you speak the second language, you hear complicated vocabulary and background noises. Try your skills as if you’re in a native country! News in Levels is an excellent way to learn something new about the world every day and practice English at the same time! You can find a topic of your choice and listen to ESL materials in three different levels of difficulty. This wonderful ESL website offers podcasts on any topic you want! If you’re interested in ESL materials about culture, adventures, lifestyle, video games, or many other spheres, learn the second language on Culips. Taking part in ESL activities is critical for every second language learner. Podcasts in English knows how to study English whether you’re an elementary student or you want to improve your second language for business purposes. ESL ALOUD helps hundreds of learners to study every year! Every recording contains ESL exercises for the better understanding of grammar and pronunciation. The variety of topics allows you to learn English for business, adventures, or studies. Moreover, ESL pronunciation is one of the categories on this website. Looking for materials for teaching English? Then, visit Miss Buswell’s ESL website. It updates once every several days, so you’ll always have recordings to improve your second language. This site also presents dialogues with international speakers for ESL practice. When you learn English, writing and reading become an everyday routine. In fact, you have to use ESL textbooks every day. It’s natural that sometimes you’re too bored to practice English, so try to have fun with the following ESL websites! British Council is a fantastic ESL website where you can learn English grammar, writing, and reading. If you’re not sure how to study English writing, look at their ESL exercises. You’ll learn how to write an e-mail, letter or postcard. Need ESL exercises for reading? Choose one of the educational levels on Agenda Web. Reading is a fundamental skill every second language learner should master. Here you can find short stories, tales, and fables to practice the English language. The general purpose of 5 Minute English is to help you learn English within short periods of time. Every lesson consists of a story to read, ESL vocabulary, and a short quiz. Practice English with this site every day, and you’ll quickly improve your skills. Here you’ll find stories about Dracula’s and Sherlock Holmes’ adventures with ESL vocabulary comments. When you learn English, sooner or later you have to write a lot of essays. To make it easier, choose the category “365 Short Essays” to practice English reading and essay writing at the same time. ESLfast also shares many facts about America – it’s important to learn about the culture and customs of the second language you learn. Want more texts to learn ESL online? Use ESL-Lounge to practice English grammar and vocabulary. Every text is followed by ESL vocabulary or exercises. Also, you can choose texts to improve your grammar, especially various tenses. If you’re an advanced learner, visit My English Pages. Many Wikipedia texts are collected here to practice English. Also, you can check your comprehension of the texts by completing brief ESL exercises. Iteslj.org is an enormous collection of links to various stories and passages. In these texts, you can find the ESL vocabulary you need to speak and write like a native speaker. With the help of this resource you can discover many ESL websites to learn English effectively. Want to improve ESL listening every day? Try to use ESL Gold so that you can have daily ESL lessons. It also contains a lot of videos to observe. It’s impossible to learn English if you don’t have any native speakers to communicate with. Second language learning depends on how often you practice English. That’s why it’s essential to find native teachers or people for language exchange. ESL online learning allows you to speak with foreigners right from your home, so try these ESL websites! Lang-8 is an ESL website for improving English writing skills. You can publish your texts for native speakers to check them and explain any errors. Such practice is necessary to learn English or any other language. Want to know how to study English but can’t find a teacher? Italki is an impressive ESL website where native teachers of any language are ready to give you lessons. The primary benefit of these ESL teaching activities is that you’re the one who chooses the date and time for your exercises. Busuu is another site to practice English online with the help of various interactive activities. Many native speakers of twelve languages are here to offer ESL vocabulary and check your grammatical errors. This website contains many ESL materials to learn English speaking and writing. Language exchange is an excellent way to improve conversational skills. With Babbel, you can practice English with your tablet or smartphone anytime. If you’re looking for ESL resources, try Mango Languages! This website offers ESL courses, exercises, and other activities for second language learners. Improve your skills and get new vocabulary every day. What is the most interesting type of ESL resource for students? Games for ESL kids and adults are one of the most exciting interactive methods of learning English. It also helps to remember vocabulary faster and more efficiently. TopMarks collects excellent materials for learning English. If you’re ready to learn ESL grammar, you’ll find games to sort words into nouns, adjectives, and verbs on this website. Also, it’s an incredible chance to improve ESL vocabulary with the games like Super Stories. ESL resources for students rarely include online games, but these are useful to use even if you’re an adult. Games to Learn English is an excellent tool to improve ESL vocabulary and grammar. BBC is all about learning, and ESL learning is one of the essential parts of modern education. You can spend several evenings playing with these engaging materials for learning English. The most useful games for ESL vocabulary are crosswords, homophones, and commas. If you need games for ESL children, ESL Games + is what you’re looking for! This website contains many engaging games for children to practice English vocabulary and grammar. You can learn ESL vocabulary effectively if you learn the English language with the help of various activities. On Digital Dialects, you can find ESL vocabulary games on basic topics like animals, food, and clothes. Want to learn ESL online? ESL Games World can easily become one of your favorite sites! It collects dozens of ESL language games on various topics. You can improve ESL pronunciation, grammar, and vocabulary. Freddie’s Ville is a wonderful website which contains games for ESL children. They’re great to use for beginner ESL lessons, so if you’re looking for materials for teaching English, try Word Search or Crossword. Grammar and punctuation are the basis of every language, and they’re a vital part of ESL learning as well. English language learning often starts with ESL textbooks full of rules and explanations. ESL teaching materials should include plenty of grammar rules. 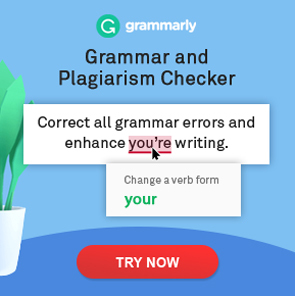 GrammarBank.com contains ESL grammar clarifications, exercises, and worksheets to practice English. Have a lot of questions about ESL grammar? “Further” or “farther”? “Lit” or “Lighted”? “Affect” or “effect”? Grammar Girl gives answers to these questions for effective ESL learning! Improve your ESL writing and grammar with these useful pieces of advice. Learning English as a second language can be much easier with Learn English Today. This ESL website presents well-structured grammar explanations and exercises for every topic, so that you can practice English. On EducationFirst you can find compact tables for any ESL grammar question. It explains how to build various grammar constructions. In the end, you can test your English language skills with a 15-minute quiz. If you want to practice English more, and you’re searching for ESL exercises, go to English Grammar Secrets. You can find ESL grammar exercises to test your abilities in the English language. English Grammar 101 is an excellent ESL resource for beginners and advanced learners. Talk English posts 5-minute ESL lessons to practice English grammar. These articles can be used as materials for teaching English, or you can improve your own skills. One of the most important fields of English language learning is punctuation. On The Punctuation Guide, you can find articles about every punctuation symbol. Use this ESL website if you want to make sure that you’re using the right punctuation. Whether you go to an English speaking class or practice English at home, you may need to print ESL worksheets. ESL Base doesn’t only share ESL worksheets with exercises. Here you can also find board games to play with friends or classmates. Practice English with ESL activities – it’s a fun and effective way to learn English. EL Civics is an enormous collection of ESL handouts. If you learn English, then download a couple of worksheets from this ESL website. On LearnEnglishFeelGood.com, you can find ESL worksheets on any grammar topic. Here are handouts for ESL beginners and advanced learners for you to download. Learn english with these little ESL exercises. Phrasal verbs, parts of speech, articles, punctuation… UsingEnglish.com offers hundreds of quizzes in every section of ESL learning. These ESL handouts are easy to download and print. ESLPDF.com supplies you with resources to teach English or learn it. Moreover, these ESL worksheets are perfect for advanced students. If you choose this ESL website, you’ll soon see improvements in your English language skills. ESL Tower posts a lot of materials for English teachers and students. The majority of ESL handouts are engaging activities like matching words, board games, and describing drawings. Like to spend an hour or two watching YouTube videos? You can combine this hobby with ESL learning! There are plenty of YouTube channels to show you how to study English. Moreover, they’re engaging and pleasant to watch. Among the ESL resources for students, BBC Learning English is one of the most effective channels to learn English. It covers every sphere of ESL learning – grammar, vocabulary, pronunciation. Tired of boring ESL textbooks and grammar rules? It’s not the only way to practice English! EnglishClass101.com is a funny and engaging channel which gives useful ESL vocabulary and listening exercises. JenniferESL is a channel full of ESL activities and lessons from a professional English teacher. You can find here typical lessons like ESL writing, as well as unusual topics such as the understanding of fast speech. Want to improve pronunciation and expand your vocabulary? EnglishLessons4U posts new ESL vocabulary videos every week! It’s also an excellent choice to practice English pronunciation. Learn English with Let’s Talk is a fantastic opportunity to practice English vocabulary and pronunciation. The topics in this YouTube channel are significant materials for teaching English, so you can use this ESL learning resource every week to learn something new in the English language. When you learn English online, it’s vital to use several ESL resources to help you master all of the essential skills. With this list of useful and practical ESL websites, nothing can hinder your progress – you have everything you need to practice English every day.